You may not know that the San Diego YMCA provides free membership to challenged athletes and their families to YMCA’s throughout our region! This is a terrific partnership in the best spirit of supporting these athletes with physical disabilities. Amazingly over 1400 individuals and families qualify for this special partnership offer from the Y , which is a huge help for their chances to participate in sports and training in a high quality encouraging environment. 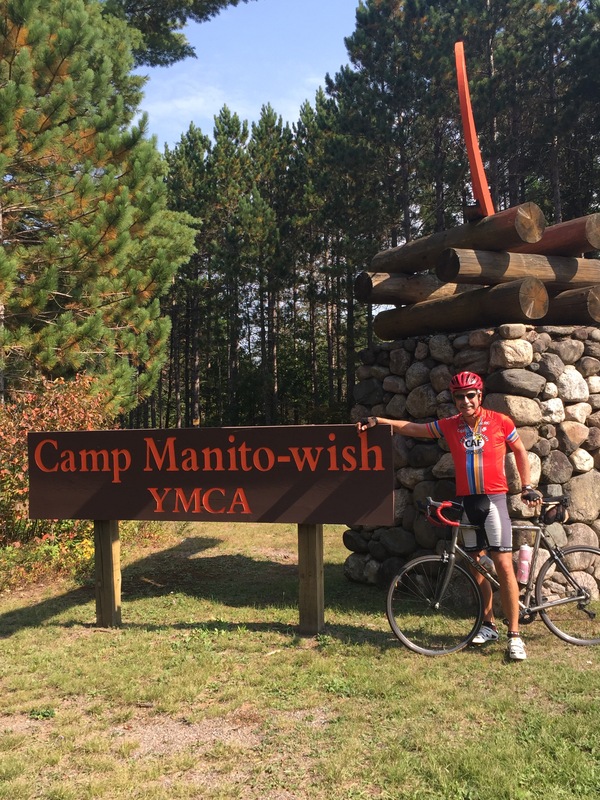 As I was passing this Camp Manito-wish YMCA while pedaling across the country, I was reminded how important this special partnership between CAF and the YMCA is👍! I have asked CAF ( and they have agreed) to contribute 10% of all that we raise on this Ride to this scholarship program for challenged athletes!! This support for our YMCA’s and specifically this scholarship program will help continue this great way to help CAF recipients out😊!! 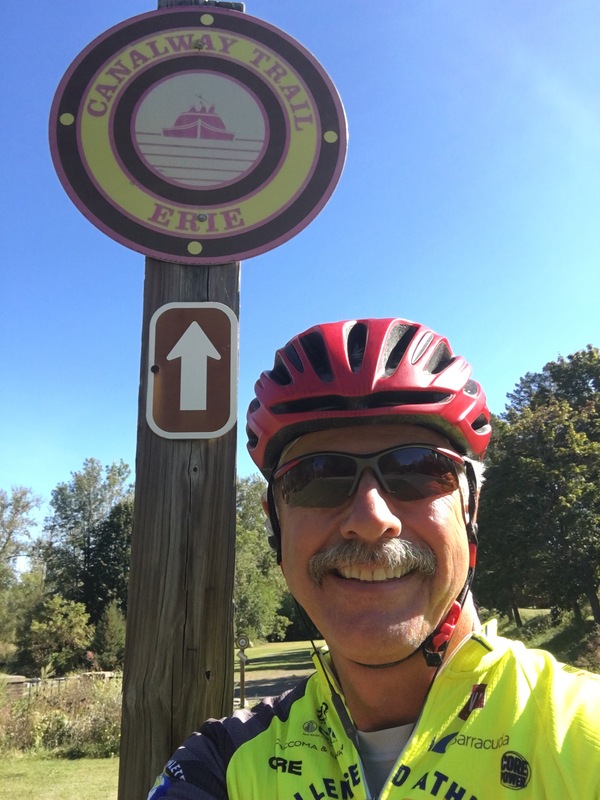 Finally completed the Erie Canal section, 4 days on beautiful canal trails through small towns and locks navigating boats through these farmlands. Packed asphalt is rideable but slows you down. 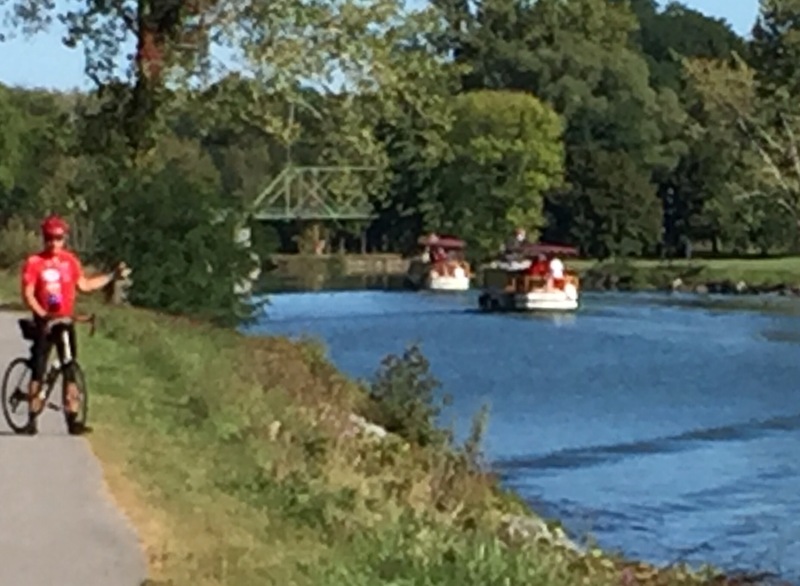 Amy was able to ride most days and rode 130 miles on these safe protected waterway paths. I’m happy to be back on the roads again , better pace but more up and down. Many houses are decorated for the fall season with pumpkins and flowers. After being chased by a Great Dane that was the size of my bike for about 70 yards, I stopped at a road side stand yesterday , out of water and had not eaten😳! Water, 2 fresh Empire apples and a chunk of Colby cheese plus fresh berries were the fuel for the day😉!! Stayed in a really nice $74 a night place , my bed looked like a war zone in the morning with the sheets all torn off😬! 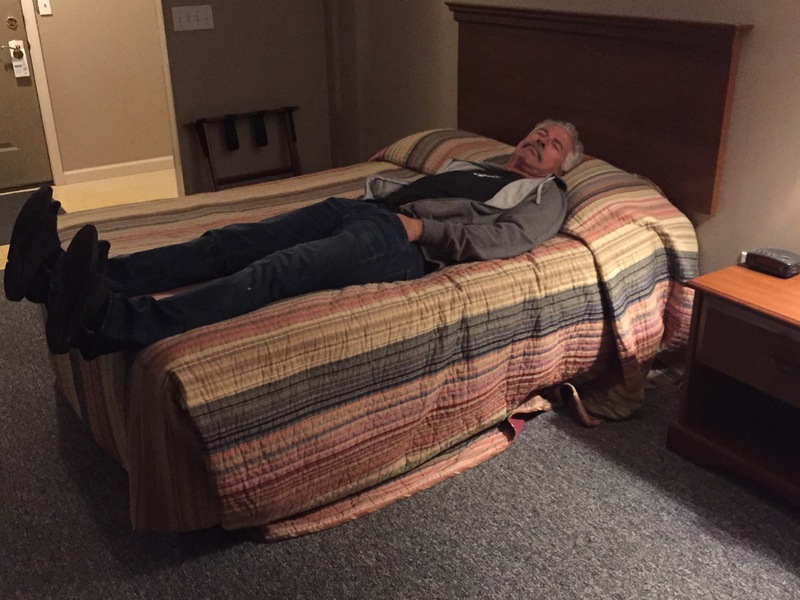 Back to the Tin Can tonight, aw…..life on the road🎉! !